[Blind Gossip] This famous movie star is a lot of things. He is rich. And handsome. And very fit. And a big college football fan. So when he goes to a football game, people just gravitate towards him, right? He would come to our college football games and stand on the sidelines. It was funny to watch him try to hit on the cheerleaders. They would scatter like wood chips when he came within twenty yards of them because he notoriously- and consistently – smelled so bad! Turns out that our handsome actor is nothing but a very smelly (and very horny) hound dog! All that natural living and beach activity and he can’t find the time to rinse off the stench? The only thing worse than being in close proximity to him outdoors would be being confined to the interior of a car with him while he pontificates about life. How does his wife put up with it? All right, all right. Enough clues! Who is it? [Optional] Would you reject him for smelling bad? Matthew David McConaughey, a Texas football fan! MATTHEW MCCONEGHEY or however you spell it. absolutely and isn’t he married with children?? Oh, I’m so surprised. I thought that he was married and faithful. So disappointing. Clues: Lots of references to the film Dazed and Confused and his character. He is always at the UT games and he once said that he didn’t liked to wear deodorant because he likes his natural odor. Alright alright alright..I keep getting older and they stay the same age. Matthew McConaughey is notoriously adverse to deodorant. Clues: “Alright alright alright” from Dazed and Confused; handsome, rich and athletic, and fond of the beach. He’s always on the sidelines and even in the locker rooms at UT games. Hook ‘em horns! Clues: Huge football fan (always at Texas football games); “natural living” and “beach activity” (always photographed outside, lived/lives in an airstream trailer on the beach, just shot “The Beach Bum” movie); “in a car pontificating about life” (those ridiculous Lincoln commercials!! ); “all right, all right” (famous phrase – all right, all right, all right); “wife” (he’s married). Definitely McConaughey and I can attest to this being true. Have seen him out on the town after multiple University of Texas football games and it always looked like he hadn’t showered or washed his clothes in weeks. And of course, he stinks. Matthew McConaughey. So many clues, Ace! ALRIGHT ALRIGHT ALRIGHT already….it’s Mathew McConoHHEEEYYYY. In my mind this is Matthew McCaunaghey. Good looking but looks like he smells. Plus the car clue. Clues: His phrase, “All right, all right”. So, he would try to hit on cheerleaders before he was married, or does he still do it? Matthew McConaughey – alright, alright is a clue. He is reported to be really stinky. Guessing U of Texas fan Matthew McConaughy. 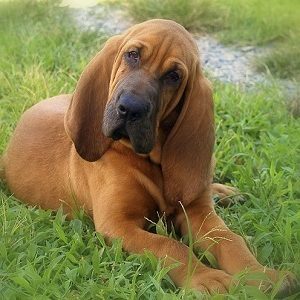 Hound dog is referring to True Detectives, sells Cadillacs and has a house in Hawaii near Willy Nelson. Clues: rich, handsome, loves college football, natural live by, the beach, alright, alright, alright. Probably more clues in there. Didn’t see anything about bongos, though! That was supposed to say natural living. Matthew McConaughey. The car ads which are a riff on the HBO series. He has long been rumored to have BO problem. I’m getting a Matthew McConnaghey (however you spell it) vibe. He looks like he’d be smelly… no offense. And yes, I’d reject him for smelling bad. All that “natural” living may be why he stinks. Get some chemicals and clean yourself, man! Clues fit Owen Wilson except he’s not handsome, and I’m not sure that he’s married. Dwayne Johnson isn’t married, but clues fit too. Clues: OW- football fan, the Wilsons are Texans; interior of a car, voice of Lightening McQueen; beach living, he lived in Hawaii; it was funny, She’s Funny That Way. DJ- football fan, played college football; beach living, voice in Moana, Baywatch movie, Samoan family; interior of car, Fast & Furious movies; scatter, San Andreas. Clues: beach activity; alright, alright; and he looks as if he smells.